With some helpful advice and a few friends, moving out of your storage unit can be a breeze! At Affordable Family Storage in Omaha, we are always here for our customers, from move-in to move-out. Read on in today’s blog to learn some helpful tips for moving out of your storage unit. Get in touch with the friendly team at your storage facility and give notice of your plans to move out. We are dedicated to accommodating your schedule. We are often able to offer our customers month-to-month rentals, so you only pay for the storage you need. When you are ready to move out, let us know at least a month ahead of time so we can close your account with minimum costs to you. When you are moving lots of big items and driving a large vehicle for moving, it’s a good idea to bring along friends or family members to help make your move safe and efficient. Particularly if you have large items like appliances or sofas, team-lifting is always the safest decision. Make sure to wear proper safety equipment, including gloves, eye protection, and a pair of comfortable shoes with good traction. Affordable Family Storage Quick Tip: Pick a sunny day for your move. From carrying the boxes to sweeping the floors, a sunny day is much better than a rainy day for moving out of a storage unit. Make sure you don’t leave anything behind! For the benefit of the next renter and the staff at your facility, please remove all items from the storage unit before you move out. If there are things that you no longer want, you can throw them away or donate them to a local charity. Once you have removed all the items from your storage unit, it will be much easier to complete the last few steps. When cleaning out your storage unit, don’t forget to bring a broom! Sweeping out the unit is an important last step when you are moving out, so that the unit will be in the same great condition as it was when you moved in. If dust or cobwebs have built up on the walls, go ahead and sweep those too! 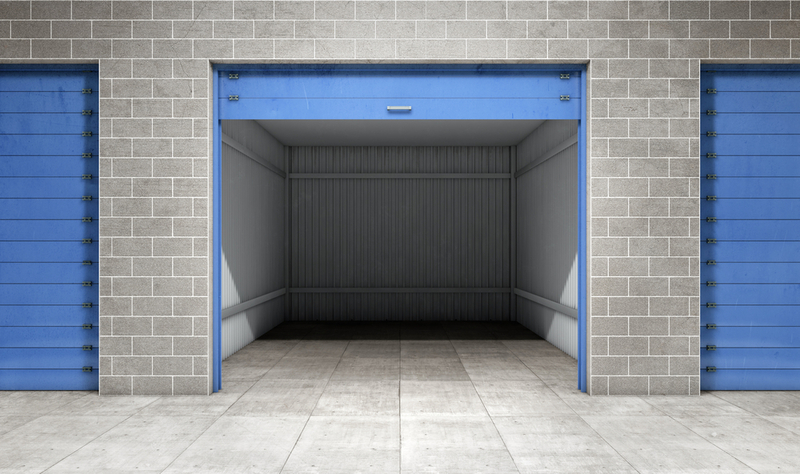 As you are moving out, if you notice any damage to the storage unit, such as stains, cracks, or water damage, please inform our staff of these issues right away. We want to provide every customer with the best quality storage spaces, and you can help us do that by reporting any damage you notice in your storage unit. Stop by the office and drop off your lock and keys with our facility manager. There will be a brief form for you to complete, and then that’s it! We are always happy to provide great customer service, even on your last day with us! At Affordable Family Storage, we are dedicated to providing the best storage solutions in Omaha, and that means always being here for our customers. Whether you have been with us for decades or you are a brand new customer, we are always here to provide helpful advice, great customer service, and modern storage facilities. Contact us today to learn everything we can do for you.